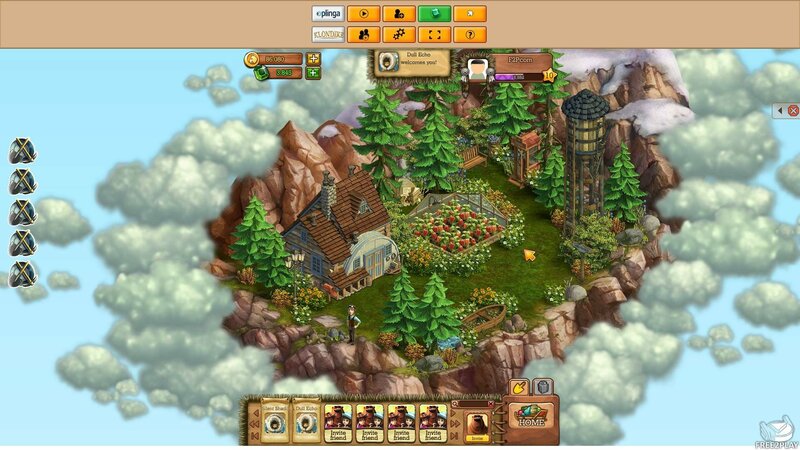 Klondike is a free-to-play browser based farming MMO in which players are brought to the old West to live an adventure to find their missing father, a renowned explorer who went lost on an expedition. Players begin their epic journey trying to find him, following clues to his last known wherebouts and then heading off onto their own expeditions into distant territories all the while documenting their adventures in their journal. 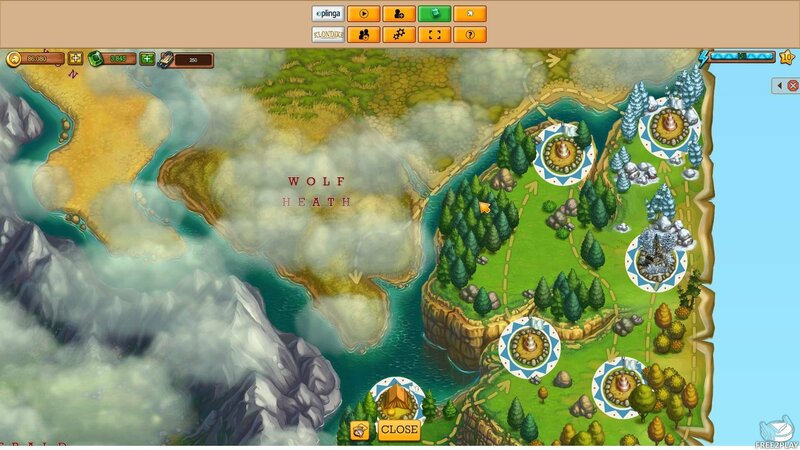 Klondike is completely free to play and requires a web browser to access it. Klondike is a mix of Farming simulator with elements of RPG from the story-driven content and exploration based gameplay, typically players will have to create and combine various items to advance in the game and into new areas on their search. Players will initially start out with a rundown settlement that they can call home, with the assistance of some neighbouring Inuit players can go to task trying to clear out, repair and rebuild the area whilst they prepare their search for their missing father. 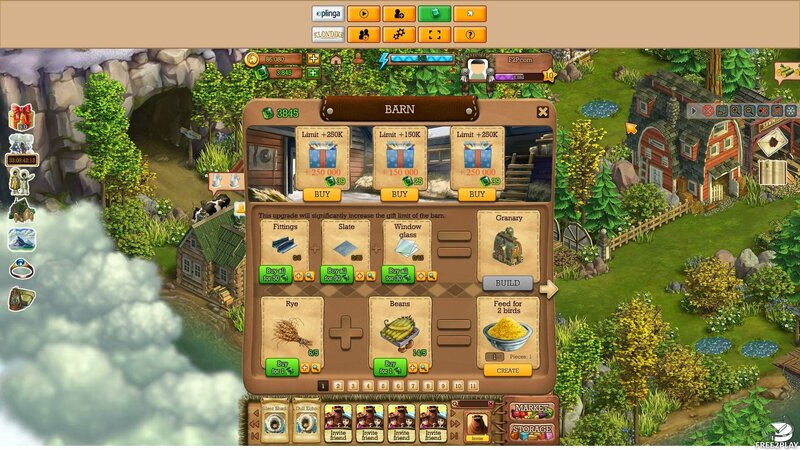 There are ongoing tasks to encourage players and guide them through the various systems in the game, rewarding with XP, items and Gold, which is a vital resource for purchasing items from the market such as buildings, seeds and various items. The farm is initially overrun with various patches of grass, unwanted bushes, rocks and even larger items like trees and boulders; players have to these items which costs energy to do so, all items take various attempts to remove completely and larger items can be removed by Workers, by spending lots of Energy, or buying explosives to clear an area of all obstructions. These obstructions do yield basic materials for players to use or sell, as well as sometimes revealing hidden caches of gold and items to add to your Collections. With room cleared players can build structures on their land. 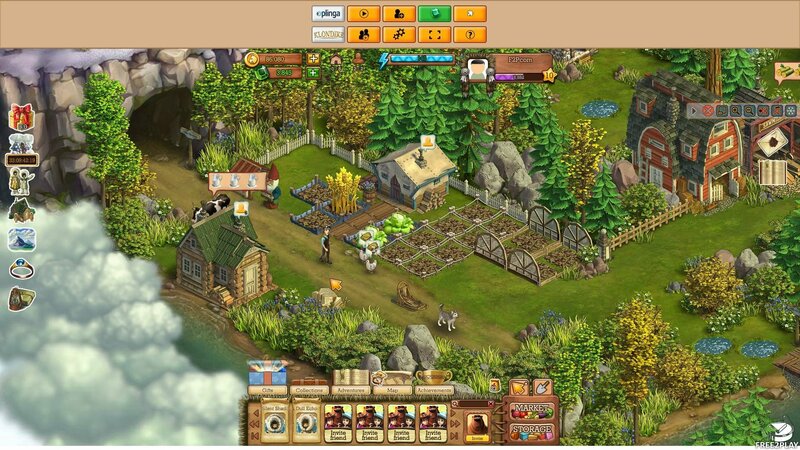 In addition, players have to plant flowerbeds to grow various plants and crops to harvest, that in turn can be sold at Market for Gold (which is used to buy various other items) or combined to create other needed items, such as combining Rye and Beans to make Chicken Feed, which gives players eggs, which in turn can be combined to create other items. Players can also head out on expeditions to new locations, also following the story to search for their father; to do so players must load up their husky sled with a variety of supplies for the journey and then head out to these new foreign locations. In these new areas players can find unique resources as well as Collectables, unique items that players can create different sets to gain bonuses; these can be traded with other players to help each other out, however they can only hold as many unique resources as their sled can handle and so constant excursion back and forth from home are required.